Visitors won’t be able to sit still with all the ways to explore the areas around La Paz and the nearby Sea of Cortez. In a city brimming with adventure, visitors have endless opportunities to discover what moves them. From boards and boats, to flippers and feet on streets, sand or sea, La Paz is a ‘choose your own adventure’ novel made real. Jump onto a kiteboard in the La Ventana region, 30 minutes south of La Paz. 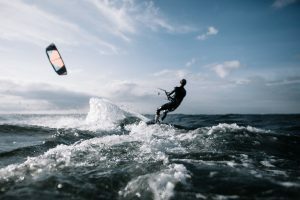 Considered to be a kiteboarding mecca, the area boasts perfect wind conditions for beginners and experts alike. From mid-October to March, a sandy ‘L’ shaped beach offers a safe starting point allowing beginners to edge close to shore. When the wind picks up later in the afternoon, more advanced riders can catch big air with gusts up to 30 knots. Swap the surf or snow for a board designed for the dunes. Soft, sandy dunes can be found 20 minutes from downtown La Paz in the El Mogote area – the perfect place for sandboards. The activity is becoming increasingly popular for thrill-seekers, and El Mogote features up to 100 feet of sand dunes and spectacular vistas for riders to take in while they shred. Hop aboard and head off to Espíritu Santo, an archipelago located only a few miles away from the Bay of La Paz. 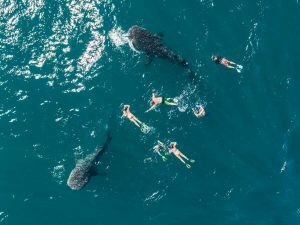 The waters around the Sea of Cortez are home to over 800 species of fish, ensuring that there’s never a dull moment when folks don flippers and dive right in. One of the islands, Los Islotes, is home to a colony of exceptionally friendly sea lions. The curious cubs here are used to snorkelers and scuba divers saying hello. Those who prefer viewing fish from on-board a boat can take a fishing excursion. Although sport fishing can be enjoyed year-round, as a general rule, the warmer the waters, the better the fishing. Yellowtail, tuna and marlin are some of the bigger fish anglers can hope to catch. Fishing tournaments are popular in the area. North of La Paz on the Pichilingue Peninsula is an extensive network of single and multi-day hikes. Some trails take hikers up to a vantage point to take in a beautiful vista, while others open to blue waters and beautiful beaches. Grab a guide and head out on a multi-day trail hike from Todos Santos. Climb to 5,000 feet to an alpine meadow, pine trees and a viewpoint that stretches to the horizon. Sticking closer to the city centre, there are over 10 different day hikes that can be taken from the Balandra Bay area. Urban adventurers will be quite comfortable walking through town, mingling with a veritable treasure trove of arts, culture, and history. 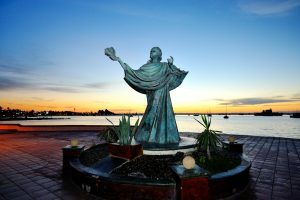 Our Lady of Peace Cathedral and a public green space sits in the centre of La Paz’s historic downtown, while the Malecon, a beachfront boardwalk, stretches along the sand. Sculptural pieces line one side of the boardwalk while quaint cafes on the other side offer a shady space to grab an ice-cold drink. The regions of La Paz each offer a unique opportunity to explore with an unlimited number of ways to experience the destination. Boarding, boating and lacing up a pair of hiking boots are only the beginning.